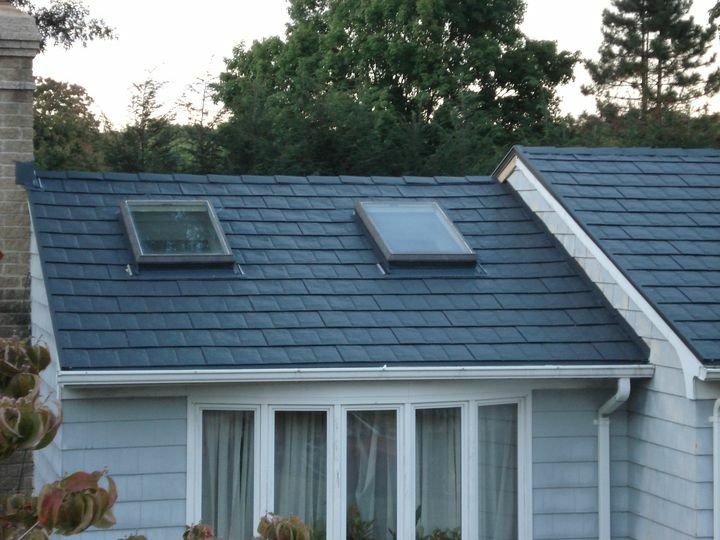 There are numerous high quality, cool metal roofing systems and profiles offering an energy efficient and Eco-friendly green roofing alternative to conventional asphalt shingle roofs. Today, homeowners can choose from a wide range of materials and systems including aluminum, galvanized and galvalume steel, zinc and copper. Modern residential and light commercial metal roofing systems are available as standing seam, batten seam, simulated Spanish tiles, metal shakes and metal shingles roof systems. For a homeowner who wants to take on the installation of metal roof, a metal shingles system can be one of the easiest metal roofing systems to install; It offers simplicity of interlocking metal shingles design and a wide selection of accompanying metal flashing trim. This guide covers installation of an interlocking Metal Shingles Roofing system. Photographs and illustrations provided in this guide come directly from one of the jobs installed by New England Metal Roof on a residence located in the greater Boston area. Step 1: Preparing the roof deck and installing roof underlayment. 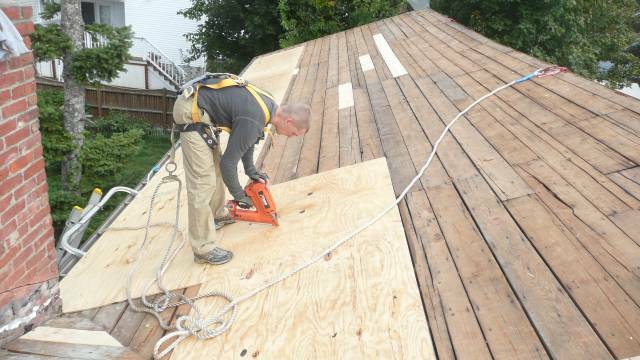 For metal shingle roofing, our first step is to prepare a roof deck for the installation. 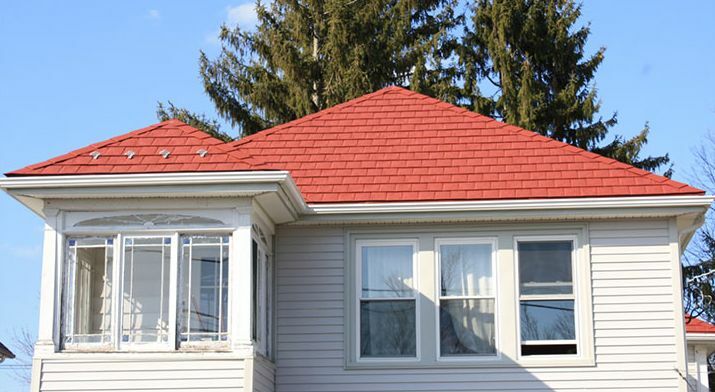 Metal shingles roof can be installed over the existing asphalt shingle roof, as well as over solid sheathing such as boards or plywood in case of a new construction or after tearing off the old shingles. It is recommended to use a breathable synthetic roofing underlayment as opposed to a regular tar paper that is going to disintegrate, and it could actually stick to your metal roof from underneath. Make sure that your roofing deck is free of any exposed nail heads, then install your roof underlayment in an overlapping fashion. Use a minimum of six inches of an overlap.